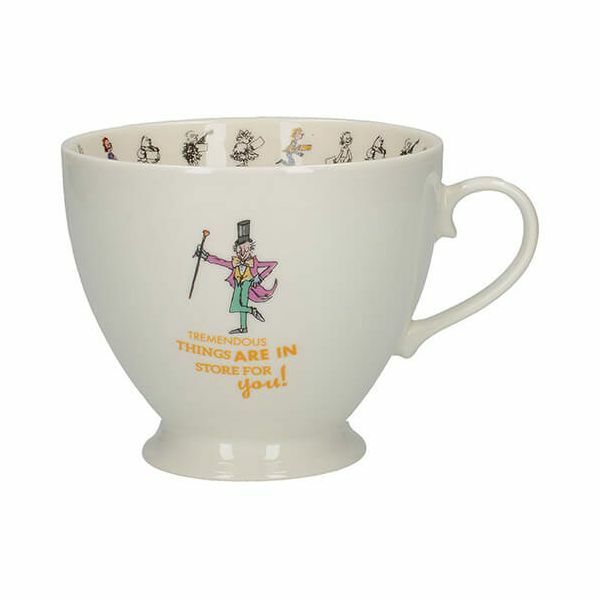 This Footed Mug is perfect for tea and coffee and features Charlie and the Chocolate Factory where anything is possible. 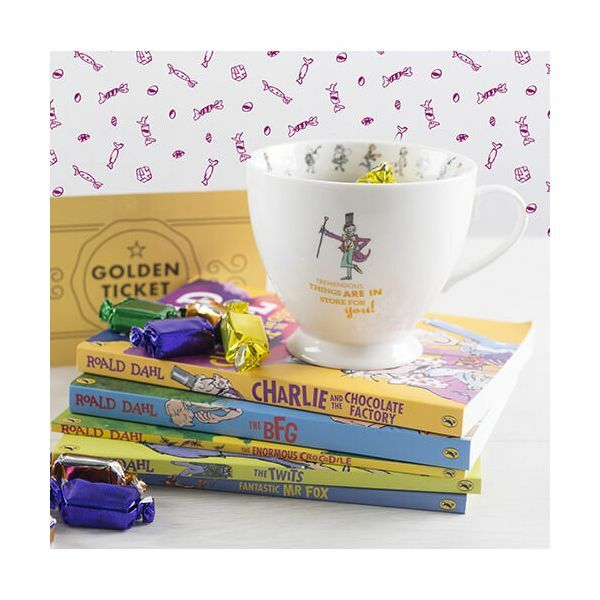 Made from fine bone china this illustrated story has golden ticket children around the inside edge in delicate designs. 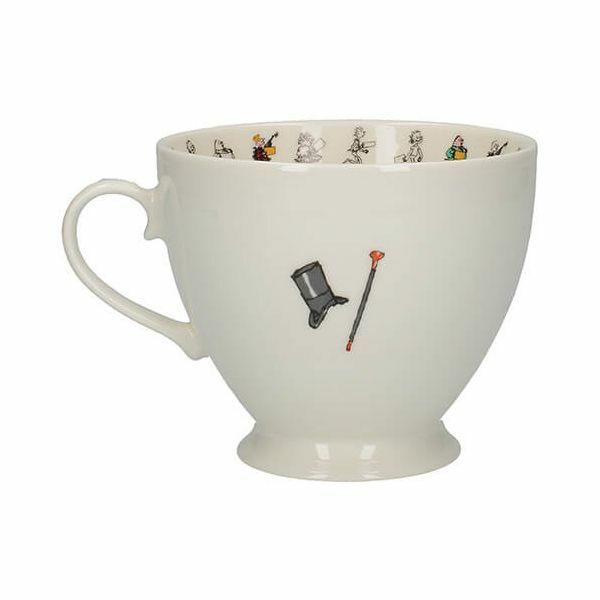 The side of this illustrated mug features Willy Wonka with his top hat and cane with the words 'Tremendous Things Are In Store For You! '.